As parents, any time we perceive our child is struggling, it’s natural to struggle along with them. If you and your child are new to speech therapy, it’s no different, and the prospect of beginning a program can be daunting. Here is information to help guide your decisions and help you and your child feel comfortable. One of the best ways to ensure your confidence is selecting a speech therapist who puts you and your child at ease. Start by examining candidates’ credentials, and don’t be shy about asking for information. Explore backgrounds and licensing information. Note there are numerous online programs which are worthwhile, but do your homework to verify whomever you’re considering has a degree through an accredited program. 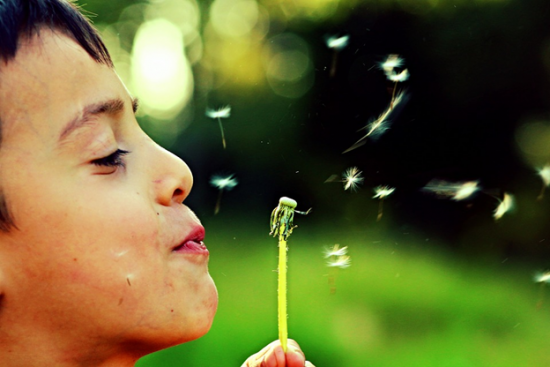 Teach2Talk points out it’s generally in your child’s best interests to choose a speech pathologist with experience as well, rather than someone who has recently graduated. Also, when talking with candidates, think about not only whether you feel comfortable with how each one communicates with you, but also consider how your child communicates. You want your youngster to feel relaxed about therapy, not nervous or misunderstood. Once you find the right fit, there is a fairly standard procedure you can expect a speech therapist to follow. The first thing will be an assessment of your child, examining where delays might be. Some of the details a speech pathologist might screen include the ability to make certain sounds, the ability to comprehend and use language, and the ability to use language socially. From there, your therapist will develop goals and a program to help meet those goals. Oftentimes there are things parents can do at home to enhance the child’s therapy program as well. There are probably some things you and your child already do together which, with a bit of tweaking, could be considered part of your supportive activities. For example, when your child is painting or coloring, talk about the colors and ask your child to repeat them back to you. Have your kiddo ask you for the colors she wants, and build on the conversation as skills improve. Similarly, putting together puzzles and playing games can be part of therapy. Ask your child to identify objects, and coach her with prompts. Keep things light, fun, and encouraging, rather than turning it into work. Think of it as a time for making memories for you both, not just building skills. Kids are often self-conscious about anything that makes them “different,” and Speech Buddies points out it can help build your child’s confidence to meet other children with similar speech challenges. 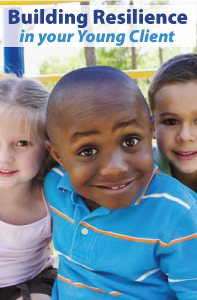 Being with other kids who have common concerns can provide a sense of belonging. Also, be conscious of how you communicate with your child. Avoid finishing sentences for her, maintain eye contact when you’re talking together, and be patient with your child’s side of the conversation. Starting anything new feels challenging, especially when it comes to your child’s well-being. Research therapists to find the right fit, learn what to expect, augment your child’s program, and help your child feel at ease. Facing the process together and making preparations will make you both feel better and will help ensure success. It has long been observed that there are certain children who experience better outcomes than others who are subjected to similar adversities, and a significant amount of literature has been devoted to the question of why this disparity exists. Research has largely focused on what has been termed “resilience.” Health professionals are treating an increasing number of children who have difficulty coping with 21st century everyday life. Issues that are hard to deal with include excessive pressure to succeed in school, bullying, divorce, or even abuse at home. Professional Development Resources is approved by the Continuing Education Board of the American Speech-Language-Hearing Association (ASHA Provider #AAUM) to provide continuing education activities in speech-language pathology and audiology. ASHA CE provider approval does not imply endorsement of course content, specific products or clincial procedures. CEUs are awarded by the ASHA CE Registry upon receipt of the CEU Participant Form from the ASHA Approved CE Provider. Please note that the completion date that appears on ASHA transcripts is the last day of the quarter, regardless of when the course was completed. Professional Development Resources is also approved by the Florida Board of Speech-Language Pathology and Audiology and is CE Broker compliant (courses are reported within one week of completion). This course is offered for 0.3 ASHA CEUs (Introductory level, Professional area). ASHA credit expires 6/15/2017. ASHA CEUs are awarded by the ASHA CE Registry upon receipt of the quarterly completion report from the ASHA Approved CE Provider. Please note that the completion date that appears on ASHA transcripts is the last day of the quarter regardless of when the course was completed. Do you work with dysphagic residents? If so, this newly revised course is for you! This course is offered for .2 ASHA CEUs (Introductory level, Professional area). Jill E. Day, MS, CCC/SLP, earned her Bachelor’s and Master’s degrees in Communication Disorders from Fontbonne University in Clayton, Missouri. For the last sixteen years she has treated speech, language, and swallowing disorders in pediatric through geriatric populations. She obtained intense dysphagic experience in long term care, and acute and post acute rehabilitation settings during ten years of work in the field of speech-language pathology. Six years have been spent treating pediatric clients within their homes or schools, and in a clinic-based setting. Currently, she works full-time contracting with local school districts to provide speech and language services, as well as with the Missouri First Steps program for birth to three year old children. Jill resides in Dardenne Prairie, Missouri and has been blessed with a supportive husband and two wonderful children. In her spare time, she enjoys interacting with her family, writing to share her experiences with others, and sewing home décor items. Jill went into the field of speech-language pathology “to make a difference in the lives of others” and feels privileged to serve the needs of her clients. 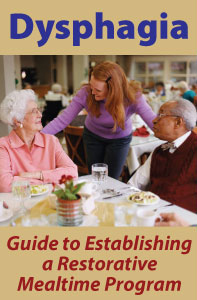 Dysphagia: A Guide to Establishing a Restorative Mealtime Program is dedicated to her family, who endured months of manuscript writing and to her mother who always inspired her to “do the best” in all she did. 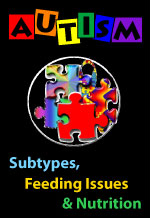 One of our most popular continuing education courses, Autism Subtypes, Feeding Issues & Nutrition Considerations, was recently updated and renewed by the continuing education board of the American Speech-Language Hearing Association (ASHA). ASHA credit is now valid until August 21, 2013! This course details the symptoms and subtypes of Autism Spectrum Disorders (ASD), describes developmental and behavioral issues, outlines assessment and diagnostic considerations, and briefly reviews the literature on the efficacy of various treatment approaches. It also outlines common GI problems and feeding difficulties in autism, exploring the empirical data and/or lack thereof regarding any links between GI disorders and autism. Sections on feeding difficulties offer interventions and behavior change techniques. A final section on nutritional considerations discusses unusual food preferences or sensitivities, growth and weight concerns, and food allergies and sensitivities with an objective look at the science and theory behind a variety of nutrition interventions. This course is offered for .3 ASHA CEUs (Intermediate level, Professional area). ASHA credit expires 8/21/2013. Speech-Language Pathologists (SLPs) are required to earn continuing education units (CEUs) to maintain their state licensure, and for their certification with ASHA. Professional Development Resources is approved by the Continuing Education Board of the American Speech-Language-Hearing Association (ASHA) to provide continuing education activities in speech-language pathology and audiology. You can help fight autism and earn continuing education credits all month long. During the month of April, we will donate a portion of the proceeds from every autism course sold to the Autism Society of America. In addition, we are offering special reduced pricing on all of our autism spectrum courses – including one FREE course. Together we can help improve the lives of all affected by autism.